A commune in the eastern suburbs of Paris has banned dog leads longer than 1.5m as well as extendable leads after one dog attacked another outside a restaurant. A decree has been issued in Nogent-sur-Marne (Val-de-Marne) following the incident on August 11 out on the terrace of a restaurant, in which a Staffordshire terrier attached a Maltese bichon. "If the owner of the terrier had not had an extendable leash, she would have controlled her dog," mayor Jacques JP Martin told Le Parisien. The animal had the smaller bichon in its mouth for several minutes, according to reports, causing a fractured jaw with detachment of the palate. The attack was only stopped when a vet, eating lunch at the venue, hit the terrier in the head to loosen its grip, according to the town mairie's website. 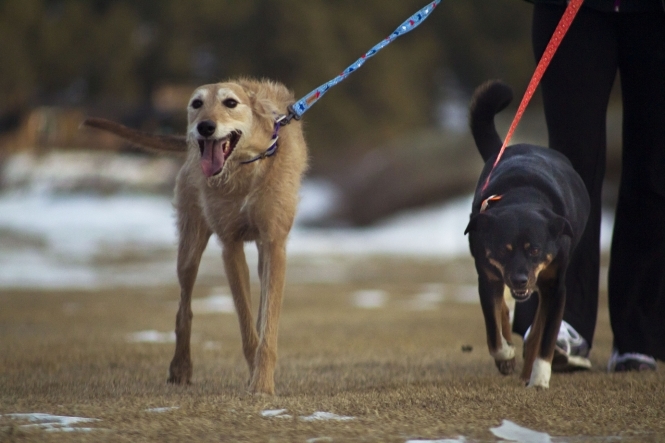 Dog owners who use outlawed leads face fines of €38.